As predicted, Lil Wayne’s Tha Carter V has clinched top honors on the Billboard200 album’s chart. The 480,000 unitary sales mark makes it the second most successful debut week in “streaming” history, next to Drake’s double LP Scorpion, which rose to 745, 900 units sold in a single week back when it debuted. The 480k mark also makes Tha Carter V’s debut the 3rd highest grossing week all-year, next to Drake and Travis Scott, who outranks Wayne due to physical sales associated with his merch run. Tha Carter V spearheads a Billboard Top 10 which includes a number of other debut records, including Logic’s YSIV in the 2nd position behind him, giving Bobby his 5th top album to date. At number 3 on the list, drag-pioneer Cher grabs her highest charting solo album ever with Dancing Queen, a project consisting entirely of Abba covers, so help me God. Of interest to hip-hop, Kevin Gates’ Luca Brasi 3 did well to slot in fourth behind the big three. Even Eminem has been able to hold onto a top 5 spot with newcomers knocking at the door. 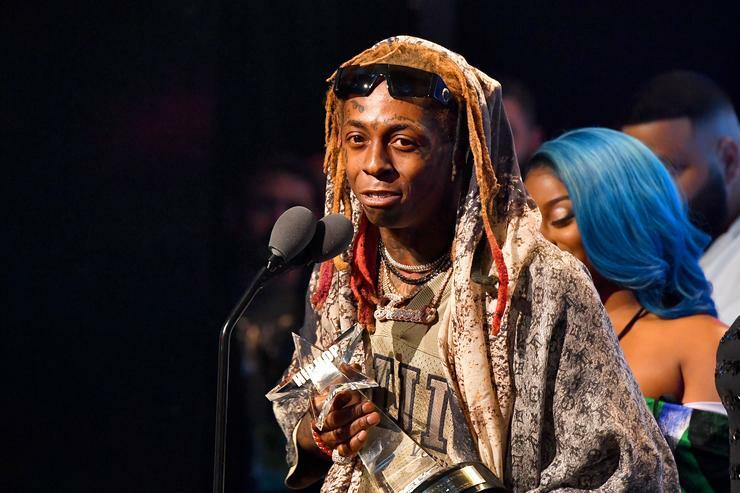 Above all, Tha Carter V deserved to have a banner week, the Young Money CEO has waited long enough to hear his name called from the attendance sheet.